You have the ladyballs to change lives by ensuring that more people know about the injustices of ovarian cancer, including the fact that there is no reliable screening test for this disease. STEP 1: Strike this power pose and share your photo on social media. 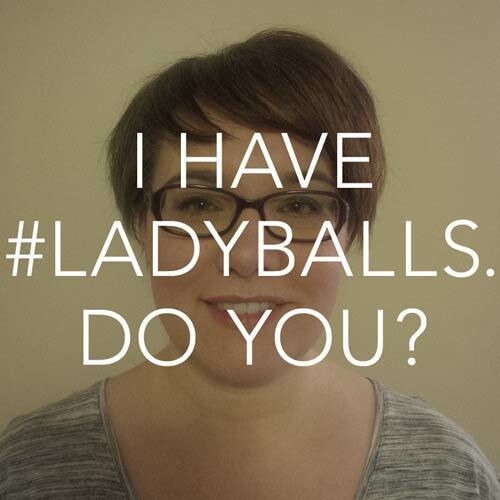 Post a statement that says “I have the #ladyballs help end #ovariancancer.” Then tag three friends, challenging them to show their support. STEP 2: Please donate because your gift has an immediate life-changing impact. Through support, awareness and research, the money you give today will change the course of someone’s journey with this disease. When you donate, you’ll unlock a webpage that enables you to picture yourself as part of the ground breaking campaign that has all of Canada talking. Thank you for having the ladyballs to do something about ovarian cancer. To learn more about the disease, please visit ovariancanada.org/got-ladyballs.